So, once again I don't have a Marvelous Middle Grade Monday post. I've been writing more middle grade than reading it as I continue with novel revisions (and taking breaks for marathon-watching one of my favorite shows, Suits). I did read a couple of noteworthy and absorbing YAs. They are quite different, but both were engaging reads for a couple of rainy Sunday afternoons. It was hard to put this down. 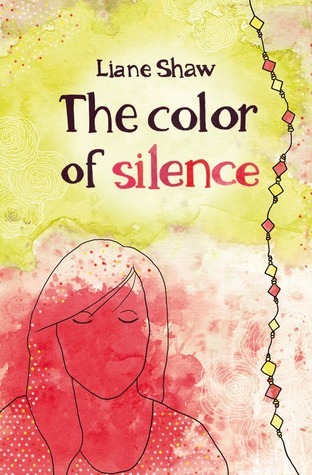 A touching, sad and hopeful story told from the perspective of two teen girls who are silent for different reasons. I didn't want the story to end. At seventeen, Alex feels as if her life is over. She will never recover from the trauma of the car accident that took the life of her best friend, Cali. All joy left when Cali died, including their shared love of singing. Why even bother speaking? Alex blames herself for the accident, and no one would want to hear what she has to say anyway. Ordered by a judge to do community service, she must spend time at a hospital with a girl named Joanie, who has minimal control of her body and no speech. Never having known another way of being, Joanie has an extraordinary internal life. She has been listening and watching as the world goes on around her, but Joanie is so full of words, thoughts and images that if she could ever figure out a way to let them loose, they would come swirling out in a torrent of syllables. She would fill every room with the colors of her dreams until the whole world became a rainbow of her making. Brought together by accident, Alex and Joanie have experienced the helplessness of silence. Their growing connection may lead them both to find the power of their voices. After reading other three books in this series, I'm kind of hooked on it (much in the same way you can get hooked when you turn on The Bachelor). It was quick, fun read with an interesting character. Kiera Cass's #1 New York Times bestselling Selection series has enchanted readers from the very first page. 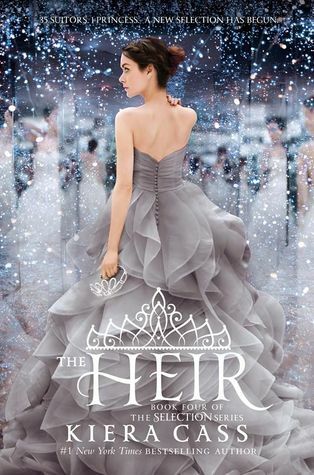 In this fourth romantic novel, follow Illéa's royal family into a whole new Selection—and find out what happens after happily ever after. Twenty years ago, America Singer entered the Selection and won Prince Maxon's heart. Now the time has come for Princess Eadlyn to hold a Selection of her own. Eadlyn doesn't expect her Selection to be anything like her parents' fairy-tale love story...but as the competition begins, she may discover that finding her own happily ever after isn't as impossible as she's always thought. A new generation of swoonworthy characters and captivating romance awaits in the fourth book of the Selection series! Glad you liked The Heir. My daughter loves this series and wants to read this when she gets the chance. These sound interesting. I occasionally take breaks from reading MG to read YA, most recently PAPER TOWNS, the only John Green novel I hadn't yet read. Hope your revisions are going well. I Have a Literary Agent!